In a move which is said to be driven by religious sentiments, Mukesh Ambani has decided to shut down Delight, the non-vegetarian arm of Reliance Retail which was founded 5 years ago to sell non-veg products such as Chicken, Mutton and Fish. As per media reports, around two weeks back, Reliance Retail issued termination notices to all managers and associates concerned with Delight. Over all in India, they have around 100 outlets which is supported by 150+ employees. These 100 outlets generated sales of Rs 63 crore with net loss of Rs 2 crore during FY 2013. Question mark hangs over their future as the management has decided to suspend their operations with immediate effect. It is said that this issue about selling non-veg products had even come up at a recent AGM of Reliance partners and share-holders, where several vegetarian members objected to Reliance Delight’s business model of selling flesh. As it is known, most of the inner management members of Reliance are Gujaratis and Jains, who are strict vegetarians. It is being speculated that under pressure from this segment, Reliance has decided to quit selling non-veg products all together. Poultry industry is Rs 40,000 crore market in India, which is growing at an impressive rate of 8% annually. Between 2007-08 and 2010-11, segments within poultry industry such as chicken grew at an average rate of 7.7%, whereas mutton consumption grew at 4.9% and pork grew at 2.8%. Interestingly, beef, which is avoided by Hindus, grew at 8.8% between this period. It is said that most of the beef from India is exported to other countries, and this high volume of growth is linked with boost in exports rather than domestic consumption. Due to this boom in consumption of non-veg food products, Quick Service Restaurants (QSR) like McDonalds and KFC are experiencing unexpected growth in this segment. As per rating agency CRISIL, QSR market is expected to become double by 2015 as it will touch Rs 7000 crore, up from Rs 3400 in 2012-13. Yum Restaurants, which owns KFC is growing at a awesome rate of 40% annually. KFC was re-launched in 2004 in India, and as of now, they have 300+ outlets with plans of adding 80-100 outlets every year. Even Burger King is rumored to launch its stores in India. To tap into this emerging market, Reliance has even planned to launch its own chain of Quick Service Restaurant across India. In the month of October, reports came out that Reliance is planning a KFC type clone named “Chicken Came First” in collaboration with 2 Sisters Food group based in Birmingham, England. Although at that time, Reliance had denied any such plans, and had insisted that they were partnering with Northern Foods, a subsidiary of 2 Sister Group which sells Goodfellas Pizzas and Fox biscuits, which are quite popular brands in Europe. At that time, Reliance had insisted that via joint venture with Northern Foods, they are going to sell packed sandwiches, salads, cut fruits and the like. But the plans have been altogether dropped now, along with the exiting business of Delight. This is the first instance when religious sentiments dictated Reliance’s business plans and forced them to suspend their existing operations. What do you think? 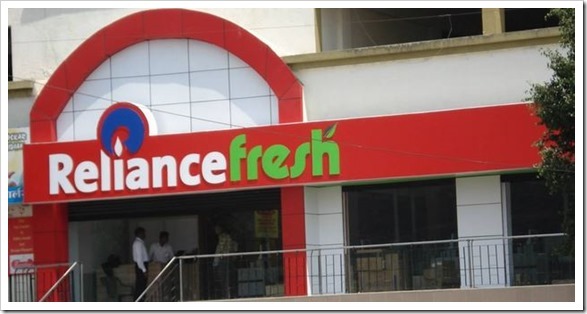 Has Reliance done the right thing by closing their Non-Veg business? "Religious Sentiments Force Reliance To Quit Rs. 40k Cr Non-Veg Products Business", 5 out of 5 based on 1 ratings. Future Group Looking Into A Strategic Partnership With Amazon Or Alibaba!